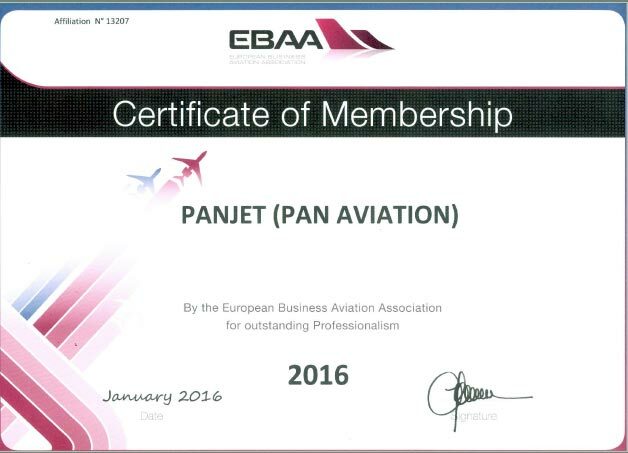 PAN Aviation is a well known and well established chartering company in Turkey. Understanding the fact that, offering safe and comfortable services in aviation is crucial, PAN Aviation takes advantage of the modern technology, Hangar Facilities in Ankara Esenboga Airport and experienced and motivated flight crew and technical staff. Offering a high quality and safe air transportation service to our customers with our qualified and experienced staff, Being in accordance to the national and international air transportation standarts, Always fullfilling our responsibilities towards humanity, environment and global values. 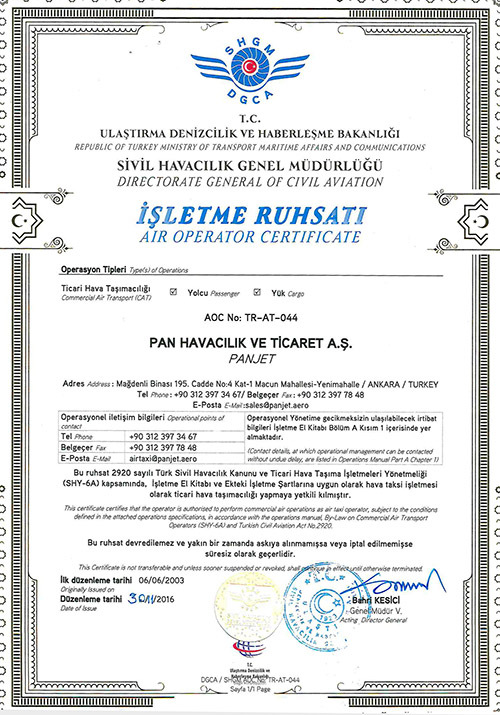 PAN Aviation took its first step into civil aviation in 1994 under the name of “Cat Cargo”. As Pan Aviation and Trading Inc., we started with Agricultural Crop Dusting and spraying in 1998. 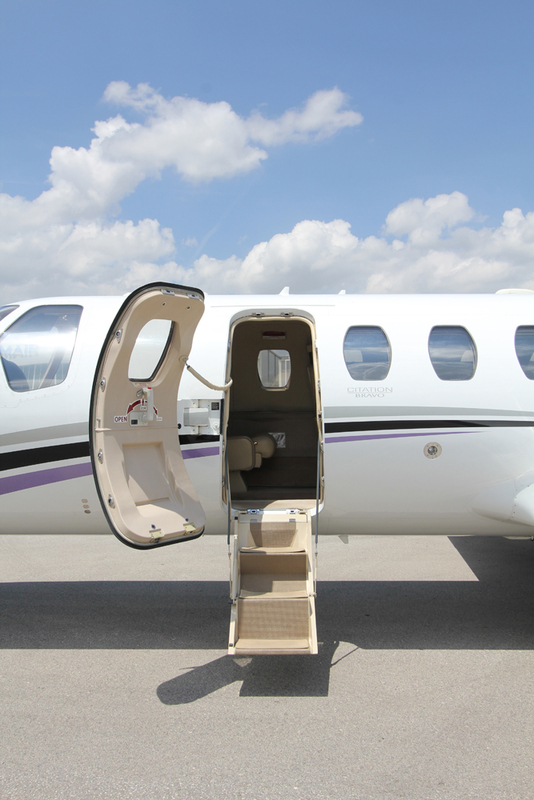 Additionally, in 2003, we took our Air Taxi Certificate and started with Aircraft Chartering. 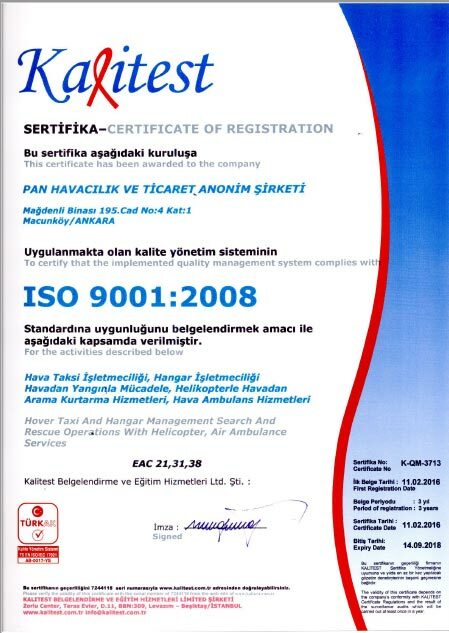 On January 28th, 2008, PAN Aviation was certified for Jar Ops Part 3 Commercial Air Transportation Helicopters and on May 11th 2011 for Jar Ops Part 1 Commercial Air Transportation Aeroplanes. 1995-01 Fire Fighting operations for General Directorate of Forestry with MI-8, MTV and MI-26 helicopters. 1999-03 Agricultural Crop Dusting and Spraying Operations for Ministry of Agriculture(TİGEM) and Private Entities. 2007-09 700 hour Aviation Services with Beechcraft B200 aircraft in Istanbul TMA for researching Global Warming in Turkey with participating Scientists from Texas University for Istanbul Technical University with coordination of Istanbul Municipality. 2009-12 45., 46., 47. and 48. Presidential Bicycle Tour Air and Land Support -Organization Operations for to be watched live from TRT and channels over 107 countries. 2011 Firefighting Operations with 8 MI 8 MTV/KA 32 helicopters for General Directorate of Forestry.